Universities need to be flexible with their classroom and meeting spaces. As the needs for these rooms change several times throughout the day, flexibility is key. For example, the student center college dining room needs to quickly change from hosting journalists, professors, dignitaries, parents, athletes to hosting student events. These gatherings vary in size and the room needs to easily transform to create a welcoming and warm environment for each event. 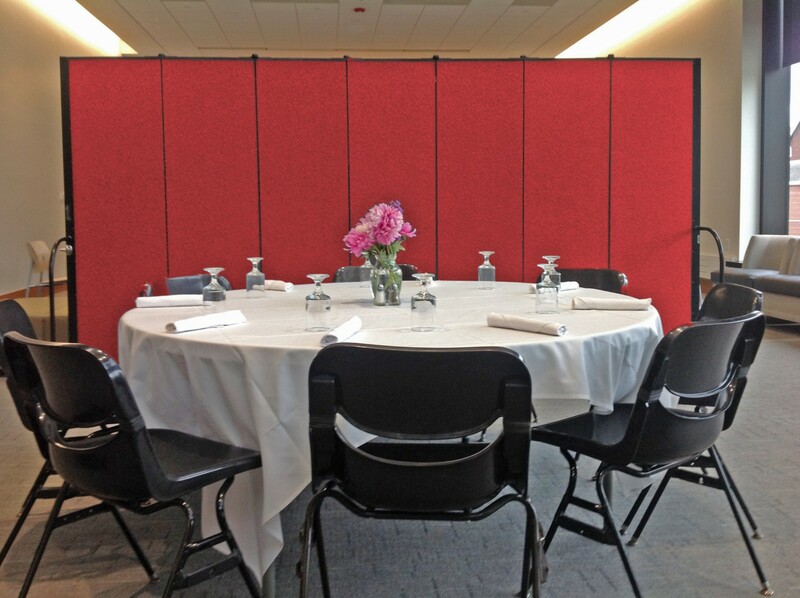 Screenflex Portable Room Dividers are just the solution. The partitions roll into place to create a decorative yet portable food preparation area for their staff. Additionally, they provide a private dining/meeting area for guests. When the event is complete the walls are used for another purpose like creating a private food preparation area. Or stored in a 2’x3′ space until the next event.